These clothing racks, garment racks are an amazing way to save space in your retail store. 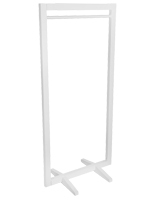 These garments racks, such as two-way clothing racks, adjustable four way clothes racks, or retail displays are commonly used in many department stores and chain locations. 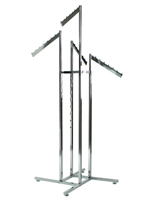 Also, garment racks are frequently seen in retail stores or gift shops. 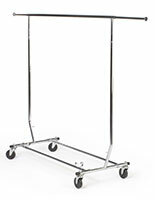 These garment racks are a perfect way to present clothing or bags. 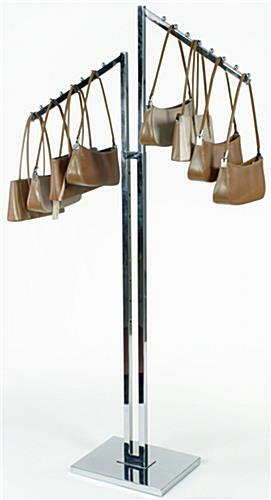 Each display arm has 8 knobs on the top to allow you to separate garments, whether by size, color, or even by style. 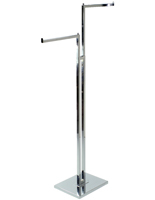 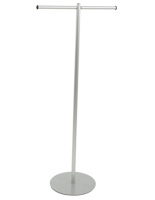 These retail displays, clothing fixtures or other garment racks in this series are adjustable in height. 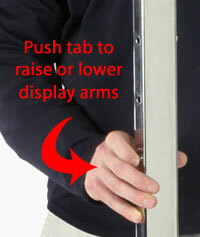 Simply use the push button on the side to raise or lower the display arms until a desired height is reached. 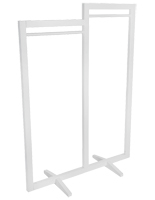 The garment racks ship disassembled in one box to save you money on shipping costs. 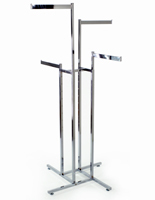 We also provide the garment racks with the necessary hardware for assembly.